Japanese Golden Week has gone ? From 29th April to 5th May ,Japanese Golden Week had Gone ! In MWC,we held mini-Concert evryday. 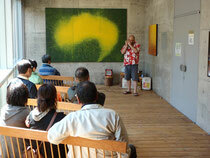 I performanced every afternoon,played Harmonicca. Except 2nd May.Because MWC was closed.